Early childhood education benefits the child for years to come. It starts at home but continues through early experiences in a more structured educational environment. The state of Florida began the Voluntary Pre-Kindergarten (VPK) Education Program in 2005 to help prepare children for success in the classroom and beyond. This free program includes developmentally appropriate curriculum that focuses on early literacy skills in a small class setting, allowing every child to get the most out of his or her experience. 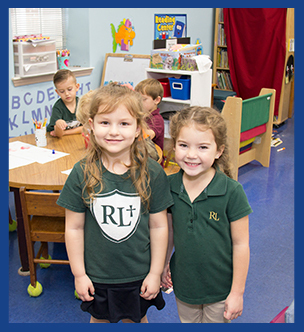 Redeemer Lutheran School is proud to offer the voluntary pre-kindergarten program for children who meet VPK Eligibility criteria. This program is funded by the state of Florida and is open to all 4-year-old Florida residents. We offer both summer and traditional calendar sessions. For more information, please see our VPK Frequently Asked Questions. For your convenience, you are welcome to fill out the application form online (just click the "Register Now" button). Be sure to save a copy for yourself, and then email it to our office.